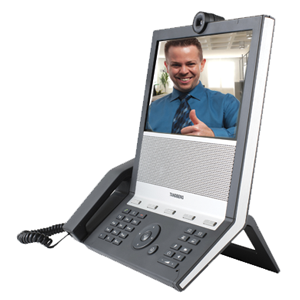 The Z-20 Videophone is a videophone that allows deaf or hard of hearing individuals to use sign language to place phone calls. This can be from one videophone to another, or it can be to a voice call that is routed through a relay interpreting service. It has a 10.6 inch LCD widescreen, HD video camera, built in handset, Voice Carry Over (VCO) Plus and call waiting.